Today has been nutso-crazy, and tomorrow and Thursday will be much more of the same. I’m trying to cram the million ordinary things I do with my week into three days because Thursday morning I’m boarding a plane and heading for a beach with three girlfriends, and we’re going to celebrate having all survived our thirtieth birthdays. Of course, this assumes that the major snowstorm we’re supposed to get on the East Coast Wednesday night into Thursday morning doesn’t ground my plane. I’m sitting in a coffee shop right now, writing and reading, as has become my Tuesday custom. My professor friend sits across from me preparing lectures for her classes, and interrupting every so often to deliver some tidbit about the Habsburgs I probably won’t remember by the time we get up from the table. I tell her that I think this is the most ridiculous I have ever been, as I rant about the weather I can’t control and the shampoo I still need to buy, and she just looks at me. Twenty years of knowing me communicating in the slightest raise of an eyebrow that this is, in fact, not the most ridiculous I have ever been. I’m reading Ann Voskamp’s 1,000 Gifts today. As I read, I think about the six other women who are reading the same book, stealing moments to get one chapter in this week, and I can’t wait to see them tonight to talk about the ways that God is using Ann’s words to meet with us, to help us feel not quite so alone in the world. All those years thinking I was saved and had yes to my God, but was really living the no. Was it because I had never fully experienced the whole of my salvation? Had never lived out the fullest expression of my salvation in Christ? Because I wasn’t taking everything in my life and returning to Jesus, falling at His feet and thanking Him. I sit still, blinded. This is why I sat all those years in church but my soul holes had never fully healed. All those years in church and my soul holes had never fully healed – this makes sense to me. I think I’ve spent much of my life, the last couple of years in particular, wanting to blame it on the Church, or a church, but….this is on me. I’ve missed the part of really and truly being thankful. Today might be the most ridiculous I’ve ever been; or it might not. It might blizzard on Wednesday; or it might not. I might make my flight on Thursday; or I might not. I might cross all of my week’s to-dos off my list before I leave; or I might not. Whatever happens, here in this moment, in this coffee shop, I choose to be grateful. 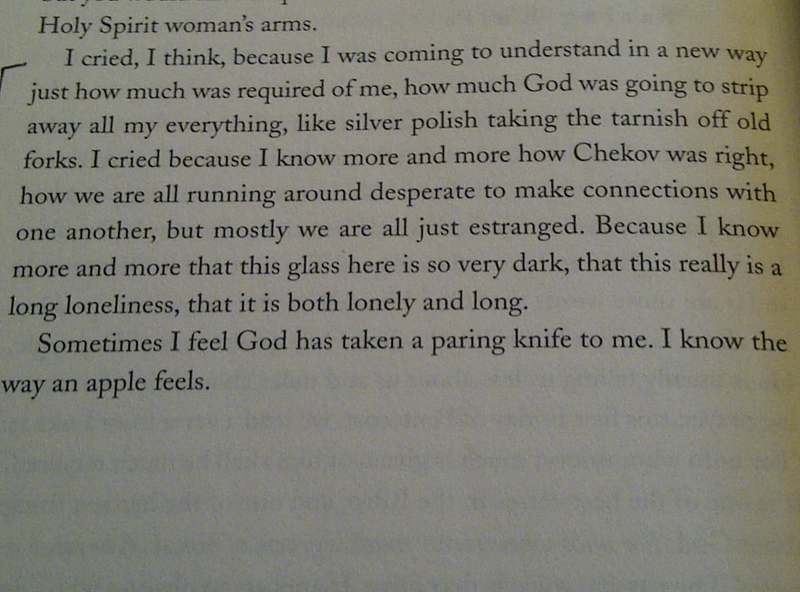 And I choose to find joy. I have books to read that remind me of who God is, penned by authors who are willing to be vulnerable as they share their stories. I have women to meet with every week to talk about these books, an odd sisterhood that eats and prays and laughs together. I have friends who know me well, who can still me with a look, and who like having me on vacations. 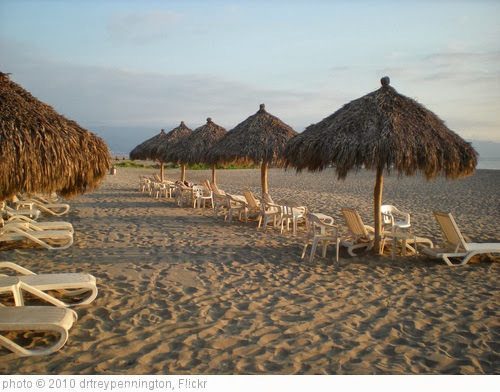 I have parents who are willing to drive me to the airport 2 hours away so that I can go de-stress on a Mexican beach for a week with my friends. And I have a guy who’s going to miss me when I’m gone. The point, I think, is that there is much to be thankful for. And perhaps today, with all of its ridiculous that will bleed into tomorrow and Thursday, I needed to be reminded of that. Because when I get to that Mexican beach and I’m laughing with my girlfriends, I’m not going to care how I got there or if I have my shampoo. I’m just going to be really thankful to be there. So, when I moved back in with my parents, the amount of bookshelf space available became limited. This meant that most of my books ended up in a storage unit (along with my dishes and dining room table and other odds and ends that aren’t needed when your parents have their own dishes and dining room table). Still, I couldn’t part with all my books, so I came up with a super creative way of dealing with my lack of space – I’ve stacked them on the floor. Yes, that is a piggy bank you see. And yes, that is a Santa suit its wearing. One of my friends and I have a joke about Santa Pig that came about one night driving around looking at Christmas lights. It makes no sense to anyone else and that’s okay, because I really love that dumb pig. The blue notebook that shares space on the Santa pig shelf there was my grandmother’s. It’s chock full of Bible study notes in her own scrawling hand, and it was gifted to me, the only granddaughter, when she passed a couple of years ago. If there were ever a fire, that notebook and that black Bible, which belonged to my aunt, are what I would grab. Also, how cute is that boy? The framed print was a bday gift from the BFF’s mom. Also, that tube is doggie toothpaste because I care about Harley’s oral hygiene, like the good dog-mom that I am. Shelf two is all my Jesus-y books. Some are books I’ve had a long time (like the Handbook of Evangelical Theology, which was the text for the theology class I took when I was nineteen, and which I don’t think I’ve opened since). 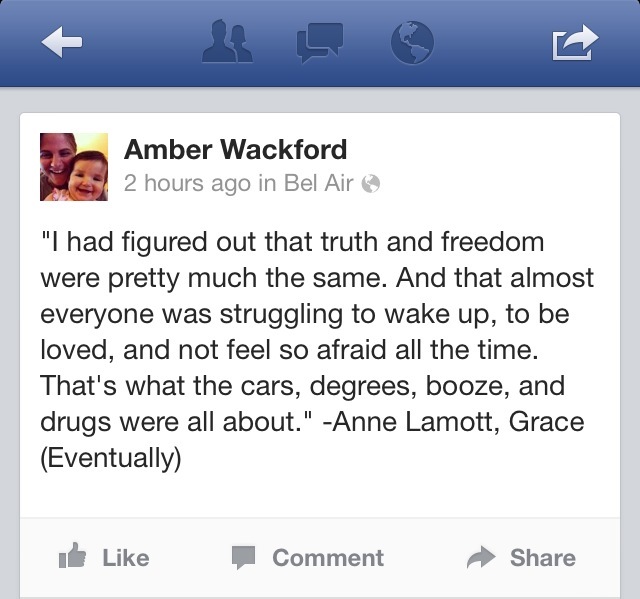 Others are newer and have met me in places of questioning and brokenness – like anything Shauna Niequist or Lauren Winner have penned, and Brennan Manning’s Ragamuffin Gospel, and Anne Lamott’s Grace Eventually. These are the books I keep going back to when my faith starts to feel even just a little bit shaky. I pick up these books and I ask the authors again to tell me about God and grace and hope, and why it all matters. 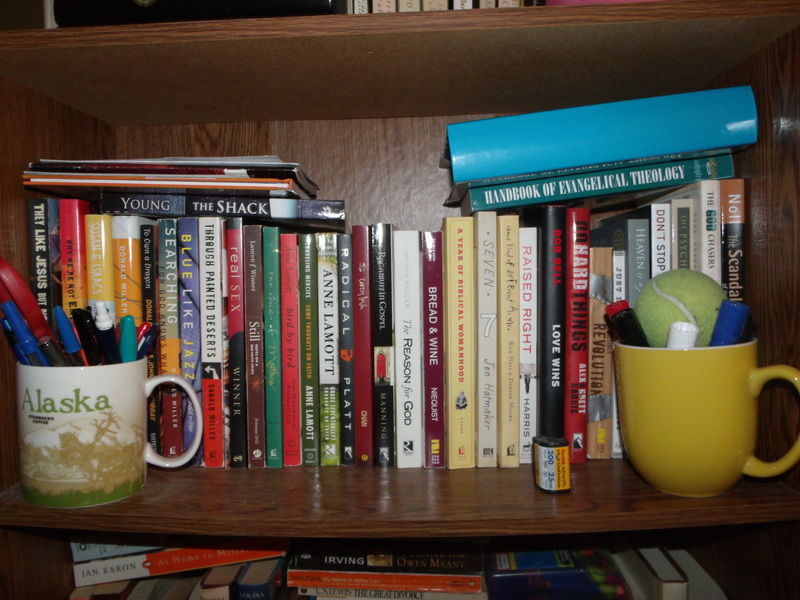 The mug of markers, with the tennis ball, is leftover from my days as a Sunday school teacher when I wrote notes on a white board, less for the students and more for myself because writing always helps me stay on track. The tennis ball I confiscated from one of the boys and never gave back – oops! And the roll of film — who knows how old that is! I haven’t used a film camera since college, so I’m betting there’s some real gems on there. To be developed soon. Welcome to my grad school shelf! The psychologist part of my heart has a serious crush on the brilliant Mark McMinn, who teaches out of George Fox. You will find on my shelf every single book and pamphlet the man has ever written, because I love him. He gets grace, and he gets the place that it has to have in the relationship between counselor and client. Also, I have chick crush on Mary Pipher. 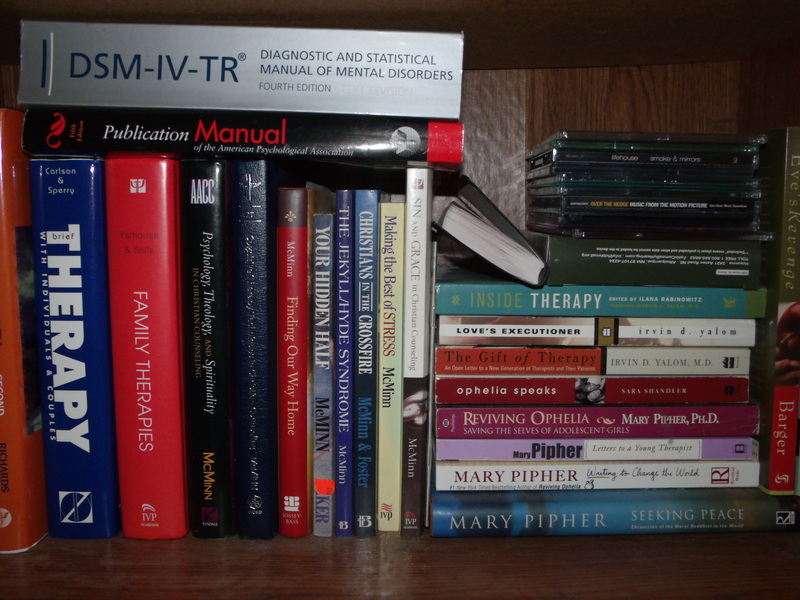 She said in a letter to her grad student (in the purple book), “Being a therapist is less about making a living, and more about living my life.” And this makes more sense to me than anything I read in all my years in school. The owl was given to me by one of my girls when I graduated from my Master’s program, who had been done with youth group for a couple of years and was youth leading alongside me at that time. It’s a crocheted toilet paper cozy, which she made simply because she thought I would find it hilarious. And I do. 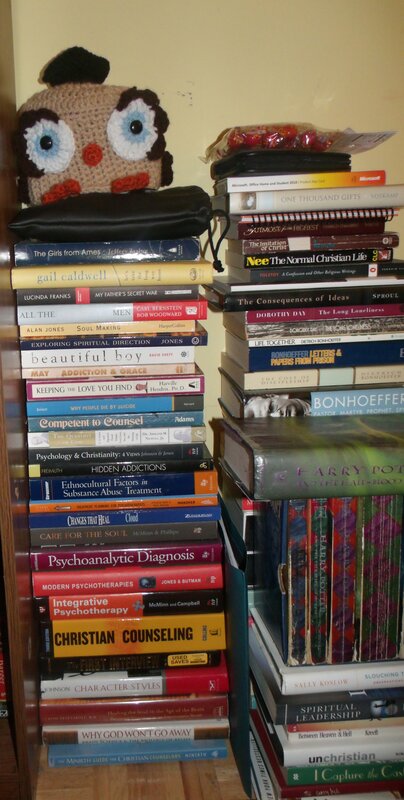 The stack in the front with the Harry Potter books are books that I have borrowed from people and need to return. Although, I should probably make it through books 5-7 before I do that or my friend Amy will disown me. True story. Our friendship hangs in the balance. If you move the need-to-be-returned books, you find more of my nerdy theology books. I fell in love with Thomas Merton when I was in grad school, and Dietrich Bonhoeffer has my heart. When I read “Life Together,” my world shifted in the best way. Church, then, became for me about befriending people and listening and finding God in the lives we’re living side by side. 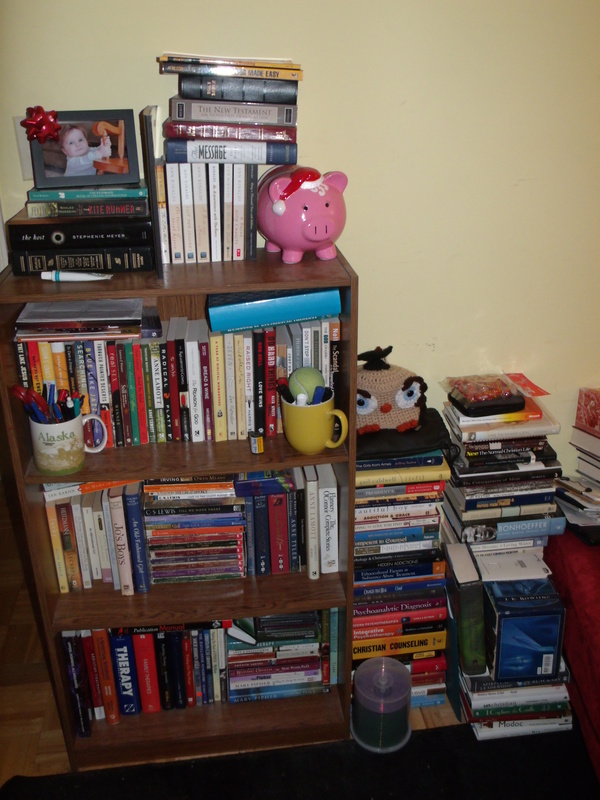 So, there it is – my bookshelves…and my floor. I have tons of stories I could share about every book, where I got it from or how it met me in a place where I needed to hear a good story. I think maybe that’s why I love books like I do – because they breed connection. And if I borrowed a book, I promise I’ll get it back to you. It’s in the stack. *** I wrote this as a link-up with Anne at Modern Mrs. Darcy, where other people are sharing what’s on their bookshelves. It’s open for a few more days, so you bibliophile types should go share what’s on your bookshelves too. Jesse, Liz, Nickie, Melissa, Maggie, and I have been meeting for Bible study on Tuesday night pretty much forever. In September, we’ll celebrate six years together, which isn’t forever but I hope we have an anniversary party anyway. It just seems like the right thing to do. My mom reminds me all the time how rare it is to find a group like ours. She says that for the fifty plus years that she’s been involved in church life that she’s never come close to having what we six have together. She tells me that I need to treasure it, and that I need to keep sending the emails for prayer and reading the books even when I don’t like them, because this thing we have is a place of belonging that most people ache for. The question: What are some possible situations in your day ahead where you need to practice positive thinking and behaving? My answer: Finishing this Bible study. In other news, I’m having trouble getting into this Bible study. I know people are all stoked and all, “This is exactly what I need!” but…this is not what I need and I’m suffering thru this woman’s fluffy writing. And I just needed to say it out loud. I think perhaps one of the things I value most about our group is having people with whom to say it out loud. Nickie reminded me quickly that our group has always been about taking care of each other, and that probably no one would object if I chose to pick up another book in addition to the one we were working through as a group. Enter Jen Hatmaker’s 7: An experimental mutiny against excess. I’ve been Jen-obsessed since a friend of mine linked to her blog and I realized that she is a writer who loves Jesus and has a wrist tattoo. In my world that’s about all it takes to make someone a sister of my soul, so I immediately bumped her book up to the top of my must-read list. And for the last few days, I’ve been reading 7 and my not-favorite Bible study book at the same time. And it’s better this way because I realize that Jen’s book is meeting me where I am and the other book is meeting my friends where they are, and there’s no room for me to be judgey when it’s helping my friends, and isn’t that what I have always wanted for them over the last six years? 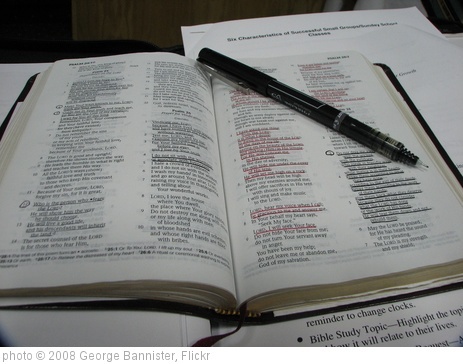 Jen Hatmaker wrote 7 in the company of a group of friends that she calls The Council. She shares emails and text messages and conversations that they had, and in every piece I hear the exchanges that I’ve had with the women of my Tuesday Night Bible Study. I hear echoes of accountability and encouragement and even admonishment, but mostly I hear echoes of what it’s like to have a place you belong. Every Tuesday night. For the last six years. Maybe it’s time to start thinking of a cool nickname as a part of our anniversary celebration. Because it’s starting to get awkward talking about BS all the time. I’m not the biggest fan of cooking and baking. However, I am the biggest fan of Shauna Niequist, and anytime she publishes a new book, even if it’s on cooking and baking, my fangirl heart goes absolutely bananas. I buy it, and then proceed to make every important person in my life read it so that when I say, “It’s like Shauna says,” they already have an idea of where I’m going. It just makes life easier. “I’m talking about feeding someone with honesty and intimacy and love, about making your home a place where people feel fiercely protected, even if just for a few hours, from the crush and cruelty of the day” (p. 41). It’s been a bad season for me and a lot of my friends. I mean, God has been present and known, but it’s been a lot more valley than mountain in the last eight months. And sometimes the greatest comfort I’ve found has been on Tuesday nights at my BFF’s table, before we go to our Bible study, after I’ve played with Noah while she’s busied herself in her kitchen. Jesse is not like me in that she loves cooking and baking. I cook because I like to eat; she cooks because it’s therapy for her. I know that sometimes she’s working something out in her inner world when her counters are covered with flour and her hands are covered with dough. I know that sometimes, though, it’s not about her at all. Sometimes she cooks because someone she loves is working something out in their inner world and she wants them to know they’re not alone in it. I know because I’ve eaten meatloaf and green beans at her table more than once in the last eight months, and meatloaf and green beans are my food love language, and she knows that and she loves me. So, this thing that Shauna says about being protected at the table makes sense to me because of my BFF, and because of meatloaf and green beans. “Holiness abounds, should we choose to look for it. The whisper and drumbeat of God’s spirit are all around us, should we choose to listen for them. The building blocks of the most common meal – the bread and the wine – are reminders to us: ‘He’s here! God is here and He is good.’ Every time we eat, every time we gather, every time the table is filled: He’s here. He’s here, and he is good” (pp. 252-253). Last night, my Tuesday Night Bible Study girls and I had dinner. We’re between books, so we met together and had a meal. It wasn’t extravagant, and it was mostly pre-packaged, and we pretty much ate with our fingers. But, we prayed together, and we laughed, and we shared stories. Because it’s like Shauna says, sitting with our friends at the table reminds us in a world that often seems unkind and mean and bad that God is here, in the midst of all that is unkind and mean and bad. He is here. And He is good. *Disclosure: This review was written from a complimentary copy of Bread and Wine, but that had no bearing on this review. I just flat loved this book. It’s now available for sale on Amazon and Barnes & Noble.